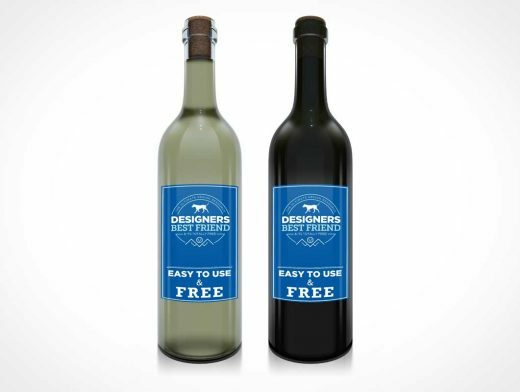 This PSD Mockup comes with 2 high resolution wine bottles. The included Smart Object layers allow for quick application of your winery design onto the label of a dark red wine or light white wine. Both bottles feature a highly detailed cork which seals the bottle. These long neck wine bottles include 3 label styles which includes a square design or a wide landscape design which wraps around the bottle.